I know the beauty skin care industry are more towards women, but us guys are just as conscious of taking care of our skin just as well. For awhile I have been searching for a perfect skin brush after my $40 one died. I have been searching for favorite brands like Clarisonic but spending that amount of money on one skin brush was an investment until I discovered The Ultimate Skin Spa System by Vanity Planet. 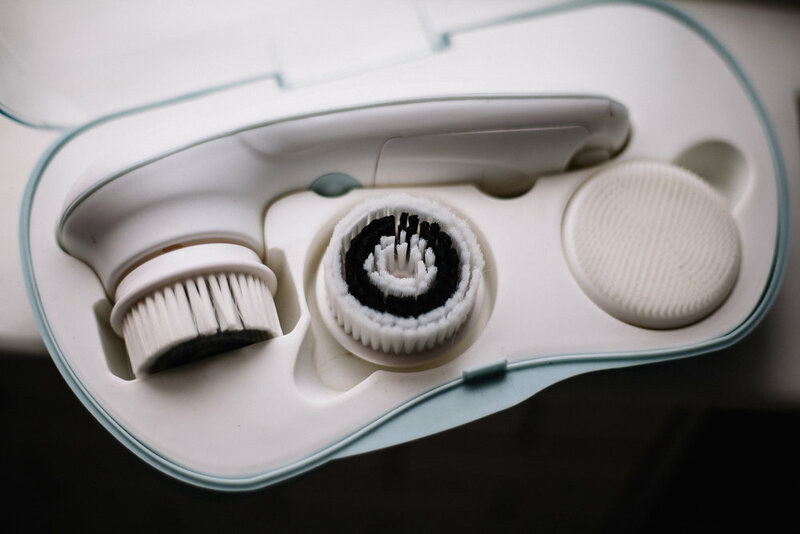 Vanity Planet's Ultimate Skin Spa System is an all-in-one cleansing, exfoliating, and massage facial brush, giving better benefits to your skin. It aids all skin types and does an excellent job to remove dead skin cell and dark spots. What I like about the brush is it comes with a cleansing brush, exfoliating brush, and silicone brush. The cleansing brush is the one you can use daily but if you have dry skin like mine, and need to exfoliate the silicone is perfect. Using the silicone brush feels like a massage, and it leaves my skin smooth and hydrated. It also does a good job of suctioning excess oil and cleaning my pores. Another bonus, the brushes doesn't get build up with bacteria. I have been using the Skin Spa System for about a seven months and already see a difference. I would recommend The Ultimate Skin Spa System by Vanity Planet as you have three different spin brushes for all skin concerns.